What a value! Since the seller of the land pays the buyer’s agency commission, there was no cost to us. Mary located lots within our criteria and budget, then she and Steve walked the lots that we narrowed down, uncovering potential problems before we even considered an offer. Steve and Mary worked with us to ensure that we obtained the best construction loan for building. I can’t say enough about how Mary researched the water and utility fees, helped us with design guidelines, and worked with the county and fire department to resolve issues. She researched the surrounding area and maps, checked on surveys and soils reports, basically uncovering anything that could be a problem. When it came time to close on the land, there were no surprises. Thanks Mary and Steve for trouble shooting every step of the way! Often, what people don’t realize is that real estate agents make a substantial commission just for referring a client to a builder. The builder has to include that cost into the construction budget. That doesn’t happen with Peak Construction. There are no referral fees paid, which saved me 4%. Peak was truly dedicated to helping me find and close the land, then built a quality home at the lowest price. This company has the perfect package. At no cost to us, Mary worked diligently to find, negotiate and close the lot for building our home. What impressed me was the way Mary researched all of the lowest priced “sold properties”, providing us with a basis of making a “low ball” offer. The best part is that Mary completed the complex due diligence for us, ensuring there was no risk before making an offer. Mary, Jim and I realize that owning our “dream property” was possible only with your guidance. Your suggestions on lot locations, surrounding areas and amenities helped us find the best lot. Your superior bargaining skills got us a great deal. Then your diligence with getting answers to questions that we didn’t even know existed expedited the process and gave us great peace of mind. “No worries, Mary has our back,” was our mantra. Your persistence, help and guidance after closing have been a gift. We are grateful to have worked with you and know that the relationship will continue. After seeing what is involved in every aspect of land procurement, we quickly realized that land transactions require more research, work and knowledge than other real estate transactions. I was very impressed with the way Mary handled my real estate transaction. She was honest, ethical and went overboard to make sure the land I purchased had no issues. I highly recommend using her. Steve, her husband who owns Peak built my home. Together, they make a great team. 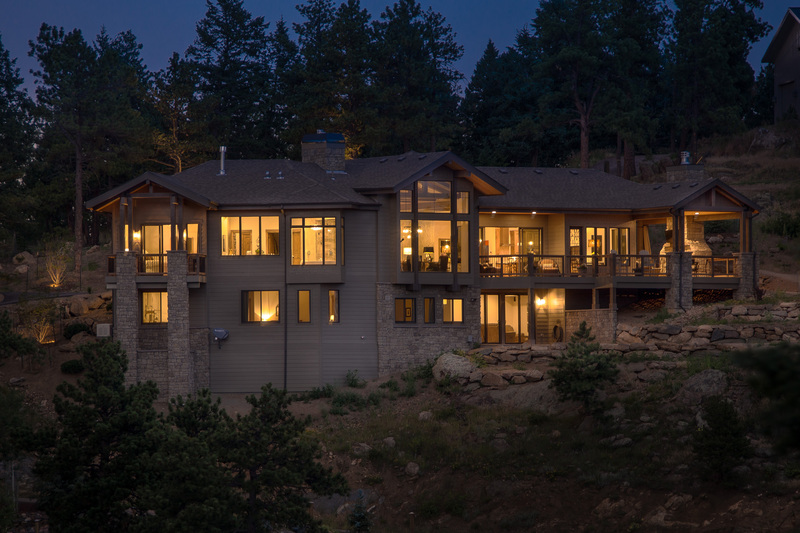 Peak Construction is a licensed, insured Building Contractor serving Colorado.